Reader Darlene paid a recent visit to Amish near Stone Arabia, New York (Montgomery County). This is in the Mohawk Valley area of the state, near the Adirondack Mountains, and in the vicinity of the town of Fort Plain. 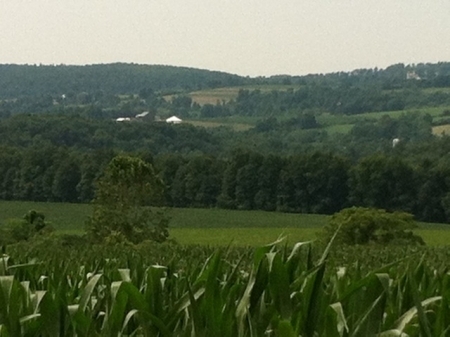 In New York Amish, Karen Johnson-Weiner writes that Amish migration to the area began in 1986, when Byler Amish (New Wilmington, PA roots) settled in the vicinity of Fort Plain. There are 5 church districts there today. 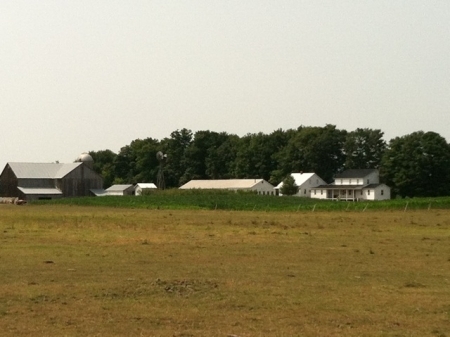 There is another, smaller settlement in Montgomery County, founded by Amish from Ohio. It sounds like Darlene was made to feel welcome herself. She has quite a few interesting observations from her visit, which I’ve posted below. The rest of this post is her commentary. Thanks Darlene! Stone Arabia and the surrounding areas are quite rural with rolling hills and beautiful vistas. None of the Amish farm barns were painted. I don’t have a single picture of a buggy even though we went by many buggies as well as wagons. Many times we were the only car on the road and every Amish person we drove by raised a hand in greeting. We did see some young boys (probably 10 – 12 year olds) driving wagons and farm equipment down the road. My 12-year-old was quite interested in that whole thing! It reminded me of one of the discussions from May that centered around child buggy drivers. Maybe the fact the the roads aren’t heavily traveled plays a factor in the age of the drivers. This family also sold quilts and rugs and I asked the girl if we could go up to the house to see the quilts. Let me start by saying that at 11:00 am it was already about 85 degrees and humid so when we pulled up 10 members of the family were enjoying the shade of the front porch. 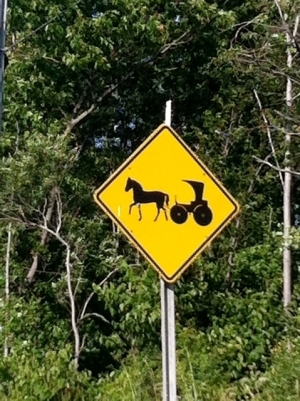 I had to laugh afterward because I have read about how people stare at the Amish (and that it is quite rude to stare!) but I must say that 20 eyes followed us to that shop! And 20 eyes followed us back to our car! And ten hands waved goodbye as we waved while we went past them on our way out! I felt like quite the oddity…that’s good…it keeps things in perspective. The quilt shop was a shed set back in the yard and, as my husband pointed out later, was absolutely spotless. The quilts were beautiful and quite out of our price range, so we purchased the quilted wall hanging above. My husband felt like we got a real steal at $60. The quilting is beautiful with the tiniest stitches I’ve ever seen. Most of the businesses in this area that we saw were home operated. Lots of shed builders, baked good sales (although we noticed that they seemed to stagger their days of business – one sign said baked goods sold Tues./Wed. and another was Fri./Sat. – I wondered if they did that on purpose) and the adirondack chair and hickory rocker builder (below). I ‘m sure if we had extended our drive further we may have come across others. 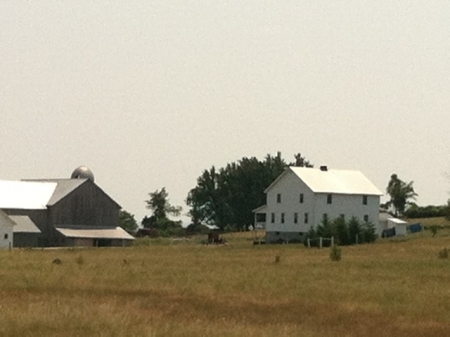 This farm was located next to the Stone Arabia Battlefield. The Battle of Stone Arabia took place during the Revolutionary War. A battalion led by Colonel John Brown of Pittsfield, MA were defeated by the British on October 19, 1780. The colonel is buried in the 18th century cemetery behind the historic Stone Arabia stone church that was built in1788. The buggy that is in the picture is similar in shape and style to the Nebraska Amish but with a tan top and brown bottom. The buggies were “open” with no protective front. It was clear by the farms that they were very conservative. The one farm we went to I could smell a wood stove (unless you’re camping that smell is odd on an 80+ degree day – at least in my neck of the woods) and wondered if it was coming from the kitchen stove? For the beautiful pictures and I really enjoyed your comments. I could relate to the one where those 20 eyes were following you as we experienced similar when we visited an Amish home that sold baskets, and the children were so interested in watching us. My wife and I once went to check on my mares when they were being trained by a young Amish man. When we didn’t find him at home we drove back out of his driveway and had to stop at the highway as two Amish women, in the front seat of an open buggy, drove past. They had three little boys in the back seat and possibly a toddler in the front seat, but only the woman that was the passenger in the front seat waved. At that, she did not turn to look at us; rather only raising her hand in acknowledgement. We turned the opposite direction and I told my wife to look back and watch what they did. As soon as we were out on the highway all three of the little boys spun their heads around to watch us. When they saw my wife watching them they just as suddenly spun back around to face forward. My wife wanted to know how I knew what they would do. I told her that the Amish children (and the women) would be far too polite to stare at us as they passed by, but as soon as we were headed away curiosity would take over and they would want to sneak a peek. The only safe way for them to get a look at us, without being obvious, was if we turned and went the same way they were headed. However since we headed away from them instead, they probably felt comfortable turning to watch us; they just didn’t count on my wife doing the same thing! I was watching them in the mirror and it was amusing to see those little guys twisting their heads back and forth like that. I always appreciate photos of the Amish areas. I am not surprised the quilt has unexpectedly fine stitching. It’s the Amish attention to detail. Thanks for forwarding the pictures and commentary Darlene. I quite enjoyed them! I found that I just had to get used to being stared at. The Amish are not taught that it is rude, and telling the parents that it bothered me had no effect of any kind on the children. It took a long time, but most did stop staring, especially after I looked like all the rest. Still, it was an additional level of pressure I did not need. As you note, they were quite friendly and did not want to offend by staring, but it is just something the Amish don’t see as harmful so that is how we need to see when we are with them and to behave accordingly. I’ve never lived Amish in the way Lance has, but I can remember experiencing the same on many occasions. I found it funny and a little distracting. Of course, I still experience it when visiting and going to big events like a singing or cook-out when you are the only non-Amish person. But I can imagine it would be a little disconcerting, as a reminder that you were different, were you attempting to join or fit in to a community. Thanks so much for sharing Darlene! I appreciated the pictures and your comments. 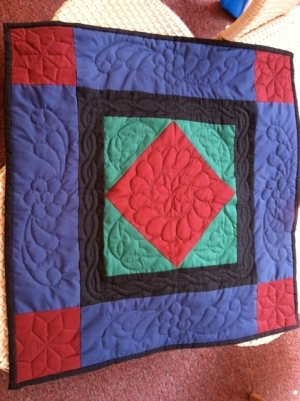 Does any one know of an Amish quilt shop that has catalogs or a web site of the quilts they sell? in Penn Yan, NY has photos of samples of what may be available. Prices and sizes are subject to change. Beautiful post, today, I didn’t know there was a community there. Ontario has a historic connection to the Mohawk Valley, many early citizens immigrated here from there directly after the American Revolution. One infamous figure from the war was from that area, and had influence between the Grand River and bordering on Hamilton; Brantford and Burlington, I mean the infamous (to the Americans) Joseph Brant, a native. I think pretty well anyone has seen little kids peering out of little square windows in their parents buggies at the English traffic driving past, and as mentioned, they are as a curious about us as we are about them sometimes. 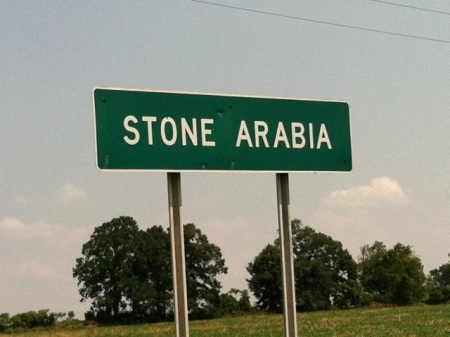 I’m intrigued at the name, “Stone Arabia” and wonder if anyone can explain how it got that name in the first place…from whom, how long ago, etc. We wanted to stop to see about those Adirondack chairs but decided that we would probably like them (or the rockers) and wouldn’t be able to get them home! Sadly, we just kept driving. Very well done – both commentary and pix. Beautiful pictures, thanks for sharing. I wonder if the wood smoke smell was from a canner. I’ve noticed that in both of the Amish settlements I visit, that there are outdoor canners that look like a big metal box, with lower and an upper compartments. The lower is for a wood fire, and the upper reservoir is where you put your jars to be canned. I’ve seen these both in yards and in indoors in a portion of the house that is separate from the main living area. 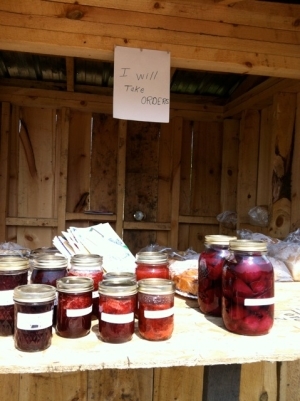 This is the only way I can imagine canning being bearable in the summer months! If you happened to drive by on Laundry Day – the wood smoke smell may have come from the fire used to heat the water for laundry. Thank you for the pictures and commentary. Beautiful country. Thanks, Darlene, for the link. It was a nice article, and I now know a lot more about the area. But it still doesn’t answer the question about how it got that name in the first place(the article states “…a name whose origins are lost…”). My curiosity is also piqued. It really isn’t much but a crossroads on the map, but there must be a story to that name. We had some workers for Greene County, NY doing road construction and one of the men said he lived among the Amish in Stone Arabia. Said they are great neighbors. So, since I am about 1 1/2 hours from there, I decided to take a drive there with my husband to do some research for an Amish novel I was writing. Couldn’t find an Amish store in sight. I wanted to meet an actual Amish person to hear the particular accent in that community, but none to be found. We also saw some Amish children let out of a school bus with their lunch pails(small coolers with handles. )My husband took a photo very discreetly. The girls wear brown bonnets there. As we were leaving, we saw a buggy pulled by two horses pass us and the driver tipped his hat in greeting. 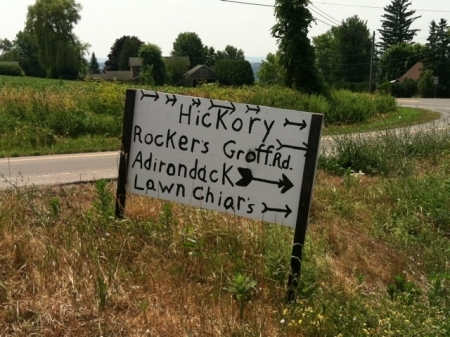 We hope to take a drive there again during the summer hoping there might be fruit or vegetable stands. Oh my oh my oh…I’m going to have to go on a day-trip the next nice Saturday I can — never knew about this settlement! And it’s the closest one I know of to me, I could make it in a bit over three hours if I stick to the Interstates versus places like Lancaster County or the Finger Lakes region which would take easily six hours. Erik, you’re right about it being a crossroads. It quite literally is! I found an article online by an Andrew Dillenbeck written in 1931 (a speech, I guess it was) attempting to address the naming of the hamlet but I really don’t think anybody actually knows the origin of the name. The name is somehow wrapped up with the Palatines who originally settled the area and who the town of Palatine is named after. That’s all I’ve got. I like the name, though. Sounds exotic. What a beautiful post. I love upstate NY. So lush and green. Yes, curious town name — how very different the place is from the deserts of Saudi Arabia! 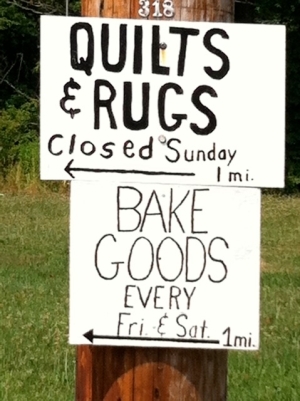 maybe you will find some websites in the directory of Amish quilt sellers.